JoAnn J. Johnson, age 73, of Sand Lake, died Thursday, July 12, 2018 at Henry Ford Hospital, Detroit. JoAnn was born June 29, 1945 in Wexford County, Michigan the daughter of Charles and Lillian (Rosenberry) Cass. 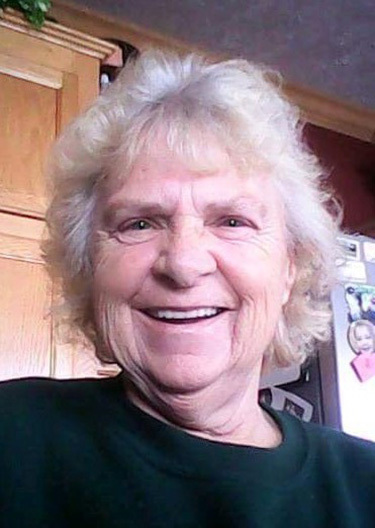 She loved her church, The Springs Church in Cedar Springs where she was an active member. She enjoyed her grandkids and great-grandkids and always put others ahead of herself. Surviving are her children, Jackie Lee (Yvette) Johnson, Jr, Christina (Larry) Housler, Douglas (Shari) Johnson, Teresa (Matt) Johnson, Keith (Shawn) Johnson; many grandchildren, great and great-great-grandchildren; brothers, Don (Jan) Cass, Louis Cass; sister, Ellen Mills. She was preceded in death by her former husband, Jackie Lee Johnson Sr. and brothers, Charles and James Cass. The family greeted friends Tuesday, July 17 at the Bliss-Witters & Pike Funeral Home, Cedar Springs. The service was Wednesday, July 18 at The Springs Church, 135 N. Grant St, Cedar Springs. Pastor Chris Anton officiating. Interment East Nelson Cemetery. Memorial contributions may be made to The Springs Church.